Here at Muzik Dizcovery HQ, our briefing from noble leader King Casey is to provide coverage to artists that we support, whether they be major or unsigned, stadium-fillers or buskers. Little more than a week ago, those were criteria I felt absolutely certain that Lana Del Rey would fit into, but now that Born To Die has finally dropped I'm not so sure. 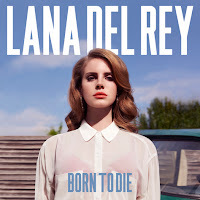 The reasoning behind the initial enthusiasm is obvious, what with 'Video Games' being among the finest singles in recent memory and successors 'Off To The Races' and 'Born To Die' doing little to curb anticipation. Everything seemed set for the 25-year old's major label debut to rank among the highlights of 2012 - certainly in the pop calendar - but instead we have a situation where it's a front runner for the biggest disappointment gong. I could waste hundreds of words gushing about the sheer splendour and cultural impact of 'Video Games,' but I suppose you're all sick of hearing about that now. More to the point, though, that and the other two aforementioned singles are the best songs on Born To Die by an almost embarrassing margin. Forget all of the issues regarding authenticity and writing credits, it couldn't be more obvious that these songs have been hurriedly conceived with a view to capitalising on the buzz that those singles created, and as a result the gulf in quality is gaping. It doesn't help that the album is so front loaded. Those three singles (along with notably lesser companion 'Blue Jeans') all appear within the first four tracks, so while proceedings get off to a good start the slide from then on in is both steep and prolonged. Of the eight remaining cuts, 'Radio' is perhaps the only one that could be categorised as passable, with the rest ranging from below-average to down right pathetic. 'National Anthem' is an obvious target, with it's attempt at glorious unity bombing spectacularly, but sadly it's far from being the worst offender here. 'Carmen' and 'Million Dollar Man,' for instance, are shockingly feeble, offering next to nothing in the way of effective hooks and finding the singer crooning along devoid of both purpose and personality. In truth, her vocals are far from convincing throughout the majority of the record, and they certainly aren't strong enough to carry such poor songs. It's a flaw which proves fatal given that that seductive purr is arguably the most appealing attribute on show here - certainly more so than the insipid overproduced beats or the tiresome oversexualised lyrical themes. 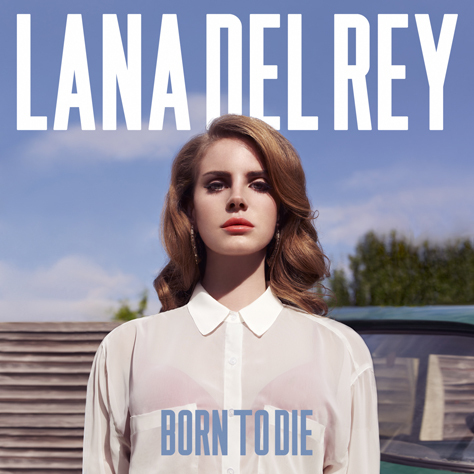 No matter how serious Born To Die's problems, nothing can detract from just how wondrous it's best moments are. It's a shame then that they'll probably be forgotten in the midst of negativity that this album will give rise to, but by and large they're all self-inflicted wounds, so it's hard to feel much sympathy. The enduring brilliance of 'Off To The Races,' the title track and especially 'Video Games' means that Lana Del Rey is an artist who should retain our support, but ultimately this is an album which flops just as badly as all those hipster's dicks when it emerged that she may (or may not) have gone under the knife. Agreed, but I love National Anthem as well.